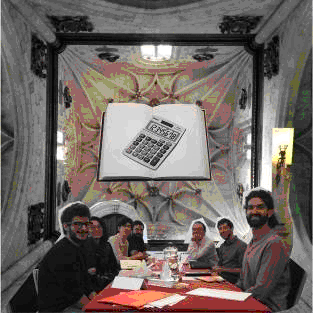 The 4th meeting of the Spanish STS Network (Red esCTS) took place between June 4th-6th 2014 in Salamanca, hosted by the Institute of Science and Technology Studies((Instituto de Estudios de la Ciencia y la Tecnología, see http://ecyt.usal.es/)) of the University of Salamanca in two beautiful buildings from the 16th century (Colegio Arzobispo Fonseca and the Faculty of Translation and Documentation). The meeting could be seen as a moment of consolidation for the network with an attendance of more than 80 people from very different professional and disciplinary backgrounds, presenting papers, distributed in parallel sessions, on the most diverse topics, ranging from contemporary urban, cultural or health/care issues to the reflection of forms of citizen science and participatory interventions in technoscientific issues((See the final programme and abstracts here: http://redescts.wordpress.com/2014/05/20/4escts-programa-definitivo-finalprogramme/)). problems in R&D as one in which ‘the best minds’ are escaping the country). The idea of the call was to build an alternative framework to this construction of a diasporic academia, which sometimes forgets about those who cannot travel, usually neglects those producing relevant knowledge in places different from academia (e.g. health activists, collective architecture networks, cultural producers and artists, etc. ), and almost never signals the important forms of backroom care-work that have to be deployed and activated to maintain professional and personal bonds at a distance, or to be able to overcome fear and frustration to produce relevant changes in the present day sociomaterial conditions affecting us. Building on the idea of ‘diaspora’ and highlighting the necessary care networks put to work to reduce its impact, one of the most important aspects of the programme reflected on how to keep on doing as a decentered and non-structured STS network in post-austerity times. Besides streamlining meetings’ budgets and eliminating fees to grant access–as has been the regular practice of the network in the past four years–, an important strand of organizational worries laid on the modes of governance and free tools available to sustain our horizontal practices. Given the inspiration in and the parallels with other peer-to-peer (P2P) networks, the organizing committee invited Francesca Musiani as a special guest for the opening conference ‘Of dwarfs and giants: The networks of today and their politics of architectural design.’ Francesca kindly agreed to reflect on the prospects of how a P2P scientific network might look like departing from her studies (Musiani, 2013) on the fluid yet stable forms of P2P governance in decentralized digital architectures (dwarves sitting on the shoulders of other dwarves, not giants). A very interesting debate ensued, focusing on whether the use of open-access publishing strategies might be the most important avenue to enable our network’s activities or if other more hybrid and material forms of opensourcing might have to be invented to bring to life such an experimental idea of a P2P scientific network (cf. Corsín Jiménez, 2014), experimenting with its formats and ways of building encounters. and collaborative knowledge practices. “Nosotras las cobayas” http://www.colaborabora.org/2014/05/21/nosotras-las-cobayas/)), portraying explicit scenes of a laboratory rat vivisection with a voiceover of an enraged lab rat denouncing the utilitarian uses of either people or animals by scientists in their empirical work, hence contesting scientific expertise and the institutionalisation of research as well as calling for a more hybrid and co-produced fabric of science, caring for other forms of knowledge production. The first day ended with the presentation of a speed-dating dynamic See no evil, hear no evil ((“No me chilles que no te veo” http://redescts.wordpress.com/2014/03/24/4escts-formatos-especiales-delencuentro-4-no-me-chilles-que-no-te-veo/)) by ColaBoraBora, searching to frame first encounters between academics and nonacademics present at the meeting. 2. #4esCTS’s special workshops: Towards more hybrid and inventive ‘ways of doing’ STS? Indeed, many efforts were put in the previous months to deploy and make available in the programme relevant forms of caring for STS((Such as the CareReview process (a peer review process of all presentation proposals submitted to the meeting, seeking to collaboratively enhance the paper), part of the interest of the network’s members to develop more careful ‘recipees’ for the ‘cooking’ of the meetings, see: http://redescts.wordpress.com/2014/09/23/encuentros-de-la-red-escts-plantillade-cocina/)) and, more especially, to turn its more hybrid and inventive potential futures into a ‘matter or care’ (Puig de la Bellacasa, 2011) for our network. A wide gamut of special workshops were carefully put to test during the meeting. Each workshop challenged ‘ways of doing’ STS, testing alternative discussion and communication formats, as well as inquiring not only what the field ‘is’ but also on how we want it collectively to be. For the Demo-WHAT? A dramatechnic experiment in democratic productions((“¿DEMO-qué? Un experimento dramatécnico de producciones democráticas” http://redescts.wordpress.com/2014/03/13/4escts-formatos-especiales-delencuentro-2-demo-que-experimento-drama-tecnico-de-produccionesdemocraticas/)), organized by the GESCIT research group at Universitat Autònoma de Barcelona, we gathered in a pub downtown –the meeting spaces were challenged too!–. The workshop started with a dramaturgic performance, featuring a voiceover by Democritus of Abdera, in which participants were presented with different figurations of democracy and the roles of experts encountered by the group in their recent research exploring participatory STS methods, such as a year-long consensus conference and diverse focus groups. Paper fragments featuring different ‘voices’ –i.e. anonymous quotations– were distributed to participants divided in groups, and each group was asked to create a dramaturgic representation of what democracy means inspired on them, resulting in one of the most hilarious moments of the whole meeting (with several groups acting on stage, be it representing the everyday democracy through conversations on a bus or proclaiming, without mumbling a word and refusing to speak, a constitution for an inclusive democracy of the shy). Research accountability and the circulation of knowledge were explored in the Publish like you give a damn, careful experiments in academic publishing((See http://redescts.wordpress.com/2014/03/19/4escts-formatos-especiales-delencuentro-3-publish-like-you-give-a-damn-careful-experiments-in-publishing/)) workshop, convened by the Mattering Press collective((See http://matteringpress.org/)). Julien McHardy dynamised a discussion about open access publishing formats and different forms of academic writing registers and genres, based on small writing samples that participants had been asked to share. It served as a starting point for the exploration of what care and experimentation in academic publishing could mean. Quoting McHardy’s contribution to the network’s blog a few weeks later((See http://redescts.wordpress.com/2014/08/05/why-books-matter/)): “Talking to people at the meeting, I gained the impression that being outside institutional accountability is both difficult and what makes esCTS a productive and exciting initiative. Like esCTS, books are not easily accounted for, because they are not easily counted, ranked and evaluated. In addition, according to our workshop discussion, books offer greater freedom compared to the stricter editorial, disciplinary and formal requirements of articles. And even where books count, for tenure for example, they do not register on a scale, but as singular achievements, either published or not (perhaps with the exception of prizes and awards). If books and the esCTS network share that they are not easily accounted for, we can start to consider that books might be valuable because they evade evaluation.” The workshop was also a means to share textual practices to participants with non-textual backgrounds. For the TEO goes to the kitchen((TEO va a la cocina: http://redescts.wordpress.com/2014/03/11/4esctsformatos-especiales-del-encuentro-1-teo-va-a-la-cocina/)) workshop, convened by some of the members of TEO (Taller de Experimentación Objetual, or Objectcentered Experimentation Seminar) in Barcelona, there had been a call for ‘research objects’ (any sort of trace or material from a research endeavour) some people wanted to share and experiment upon. The proposal was for all attendants to take part in the cooking of a taylormade ‘Mediterranean diet’ seminar that might suit very particular research objects: avoiding ‘heavy fat’ conceptual seminars impossible to digest or ‘too messy’ cooking methods, as well as pointing at the crucial aspect of committing to good practices in seminar ’commensality,’ ensuring that all relevant human or nonhuman parties involved in research were sat at the table for dinner. The workshop resulted in a very funny creative marathon where the two seminar proposals were collectively developed. Last but not least, Diasporic Science((Ciencia Diáspora: http://cienciadiaspora.wordpress.com/)), promoted by Adolfo Estalella and Tomás Sánchez Criado, sought to promote an online call for manifestos, putting forward STSers’ most purposive and imaginative skills to rethink academia and social science through statements. That is, inspired on the proliferation and creativity of both activist and artist manifestos((See http://backspace.com/notes/2009/07/design-manifestos.php)) and thinking from the manifesto as a particular accounting technique (a ship’s log), the idea was to think of possible routes into the future, refiguring diaspora into a movement of displacement of our very institutions and knowledge practices. The call resulted in proposals addressing the need for more collaboration with research counterparts or the transformation of our knowledge production through the use of other media (e.g. architecture, industrial design and illustration), or the vindication and exploration of non-hegemonic forms of research and knowing. Collage: Publishing workshop in the Colegio Arzobispo Fonseca, by Julien McHardy. 3. Caring for a displacement in STS meeting formats? Many of these things remain yet unexplored and will certainly define the experimental agenda of the forthcoming 5th meeting–which will take place, as decided in the network’s assembly, in Madrid next June 2015 – to keep challenging diasporas and encountering new displacements on the way. We would like to thank Adolfo Estalella, Antonio Montero, Carmen Romero, Daniel López, Guillem Palà, José Carlos Loredo, Liliana Oliveira, Lucía Liste, María G. Aguado, Pablo Santoro, Rubén Gómez Soriano, Santiago López García, Rebeca Ibáñez, and Vincenzo Pavone for taking care of our networked things preparing the call or organizing the meeting and its spaces, as well as commenting and making suggestions in the writing of this report. We would also like to thank Ignacio Farías for his careful help and comments in the process of drafting it. Corsín Jiménez, A. (2014). The right to infrastructure: A prototype for open source urbanism. Environment and Planning D: Society and Space, 32(2), 342–362. Lury, C., & Wakeford, N. (Eds.). (2012). Inventive Methods: The happening of the social. London: Routledge. Musiani, F. (2013). Nains sans géants: Architecture décentralisée et services Internet. Paris: Presses de Mines. Puig de la Bellacasa, M. (2011). Matters of care in technoscience: Assembling neglected things.nSocial Studies of Science, 41(1), 85–106. Thévenot, L. (2009). Governing Life by Standards: A view from Engagements. Social Studies of Science, 39(5): 793-813. 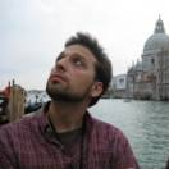 Tomás Sanchez-Criado is Lecturer in Social Sciences at the Open University of Catalonia. He is a Social Anthropologist interested in the ethnographic study of the material politics of care, currently doing research on grassroots mobilizations for independent living and practices of participatory/activist design of personal and urban care infrastructures. 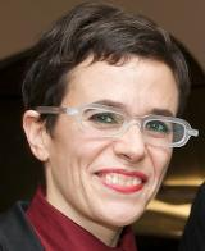 Nerea Calvillo is an architect at C+arquitectos, researcher at Citizen Sense at Goldsmiths University of London and Design Critic in Architecture at the Graduate School of Design at Harvard University. She is currently working on feminist environmental monitoring, ontologies of the toxic and how to take air pollution into account from an architecture perspective.